Striving to provide world class healthcare, Bangkok Hospital brings together a multidisciplinary team of specialists, advanced technology and top-notch accommodation as part of their commitment to excellence. As such, they have a dedicated team of translators, efficient in over 26 languages - a testament to their quality and customer focused care. Their dedication to excellence in healthcare is recognised by their JCI (Joint Commission International) accreditation. 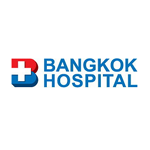 Located in the popular tourist destination of Thailand, Bangkok Hospital was one of the first private hospitals in Thailand and has since welcomed thousands of international patients. The hospital continues to improve their service and facilities with the purpose of providing the very best medical and post-operative care to all their private patients, whether domestic or international.